Panchalika was one of the Shiva Ganas. Legend has it that once Shiva remembered about Sati, who killed herself at the Daksha Yajna. Shiva was filled with memories of Sati and he began to weep. Ganas tried to console Shiva but they failed to console Shiva. Panchalika asked Shiva to give his sorrow. 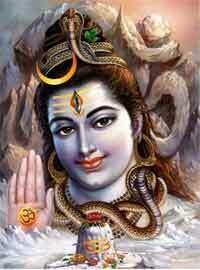 Shiva’s sorrow was causing imbalance in universe and this could cause havoc. So Panchalika requested Shiva to transfer the sorrow to him. Shiva then transferred the sorrow to Panchalika. Instead of weeping, Panchalika transformed the sorrow into hope. He found happiness in the joy that will follow sorrow. Pleased with the devotion of Panchalika, Shiva gave him the boon that he will be remembered during the Holi festival, when harsh winter gives way to spring.